Green California Dental Group (Burbank) - Book Appointment Online! 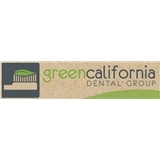 Green California Dental Group is a private dental office located in Burbank California. The office is operated by Dr. Varand Kerikorian and his staff. The main objective of Green California Dental Group is to provide general and cosmetic dentistry to the community by providing the most conservative and innovative options available in dentistry today. Our newly renovated dental office is equipped with digital x-rays and charting. Our office staff includes long-time residents of Burbank. Just like you, we understand that busy lifestyles and packed schedules can often interfere with regular dental checkups, as well as restorative and cosmetic dental procedures. Because of this, we have committed ourselves to providing a comfortable and convenient dental environment, as well as scheduling practices that are designed to fit into your active lifestyle. I came early and was seen a little before my actual appointment. The staff were nice and doctor K was sweet and professional. Nice and clean office, will definitely start regularly coming to this dental office!